Working from home is a beautiful thing. The truth is, working from with children can be the biggest blessing or the biggest burden. Particularly during the summer when they are home a majority of the time, and just itching to get out of the house and enjoy themselves! With the right equipment, you don’t have to find yourself stuffed up the office feeling guilty that they’re missing out on the fun. The most important element, in my opinion, is the computer you choose! 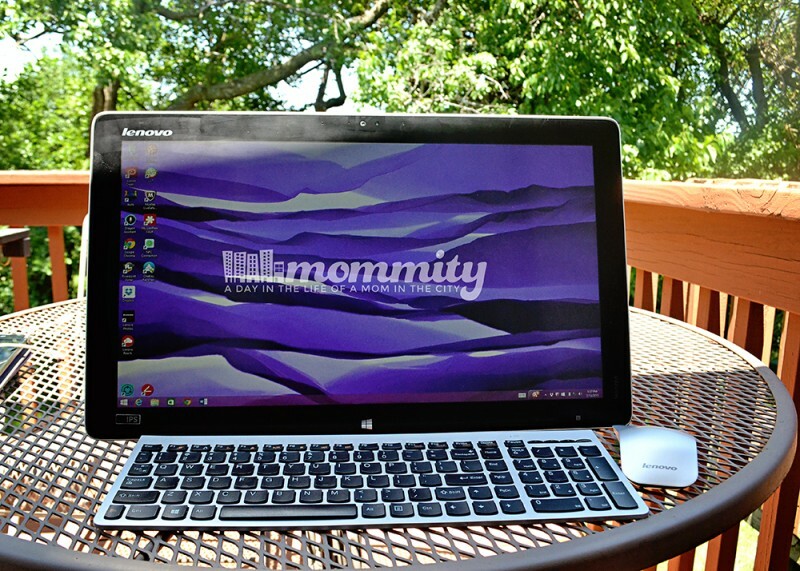 The Lenovo Horizon 2s is the perfect device for a work at home parent. It’s powerful enough to get the job done, but flexible enough to go everywhere you need to go. I love how conveniently it fits into my office, where I generally start the day before the kids wake up. I‘m able to get work done from my office chair, and feel like a grown-up for a while before the party begins! Once the kids are up…. All hope of work is not lost, luckily!! I simply grab my Lenovo, and bring it with me. We often find ourselves enjoying time in the living room, or outside. The fact that I can use it with or without the keyboard and mouse options makes life even easier! Sometimes I just don’t have time to grab it all, and need the simple solution of the touchscreen computer. It acts like a tablet, yet still allows me to plug in my USB devices and memory cards as needed. As a blogger, this is HUGE to me! I’m honestly not sure how I’d survive without this device! Sure, I could (and have) come up with other solutions to do my work. I have yet to find a device, however, that is able to take all of the convenient features of a desktop, laptop, and tablet; and combine them all in one! Find out more about the Intel All in Ones here! 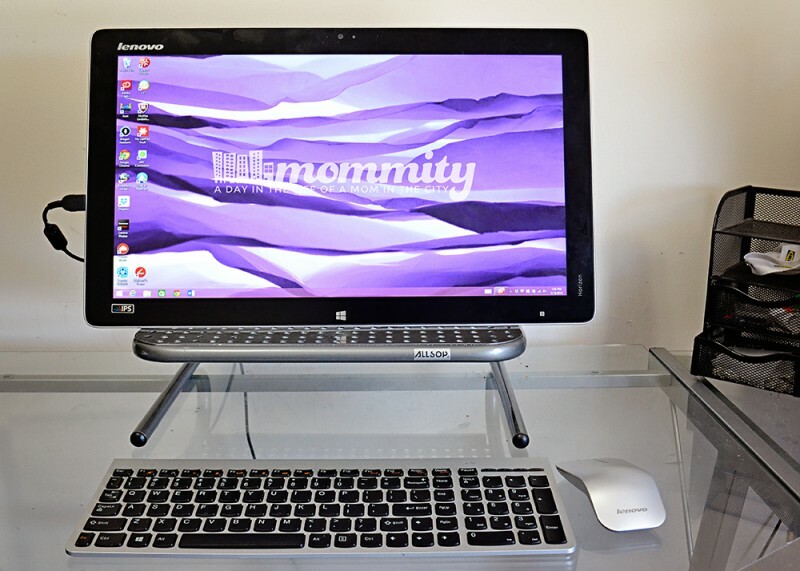 Do you work from home with children? What’s your trick for getting through the day?